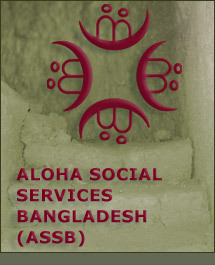 The Non Government organization Aloha Social Services Bangladesch (ASSB) works for a better future for women and girls in the North Eastern area of Bangladesh. By means of health and nutrition projects, by tutorials for agriculture, fish farming, vegetable cultivation, by adult education, small business consulting and loan programs, ASSB provides support for self help. An health center and two schools substantially improve the well-being, supported by volunteers and funded by donations from all over Europe, which mainly serve for the children in the villages of the ASSB project area and in the slums of Dinajpur. One of the main concerns of ASSB is also women's rights. For women and girls good education and knowledge about legislation and women's rights is essential. The ASSB family counseling centers and legal assistances are very effective tools in our activities against discrimination, domestic and public violence, childhood marriages, and bridal gift payments to the families of the future husbands. By means of education, medicare, legal assistance and by providing an income, the ASSB takes the steps to realize the main goal: support women's self-awareness, enable them to be responsible for themselves and for their families. This is more than just inspiring hopes. This is a path to a better future that is worth living. 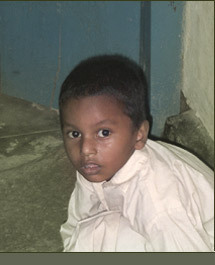 The ASSB's projects are supported by Shanti-Partnership Bangladesch e.V., by ILD (International Rural Development Services) in cooperation with the German ministry for economic cooperation (BMZ), the Kindermissionswerk - Sternsinger (the caroll singers collect donations for poor countries) and the Aloha Medical Mission Hawaii. The agenda of these aid organizations is development aid and fight against poverty. 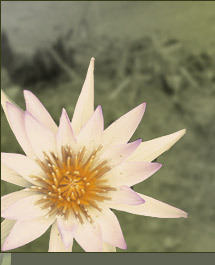 They help to diminish discrimination and to enforce human rights. By supporting, To enable true development of human and women's rights, envolvement of the whole village with all inhabitants is essential.